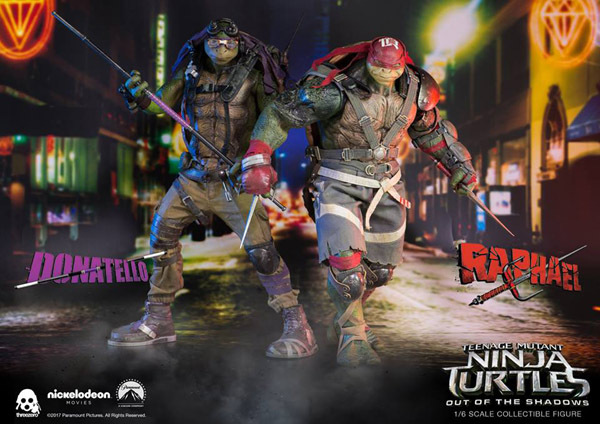 Teenage Mutant Ninja Turtles: Out of the Shadows Raphael and Donatello 1/6th scale collectible figures are available for pre-order at 230USD/1780HKD each with International shipping included in the price. 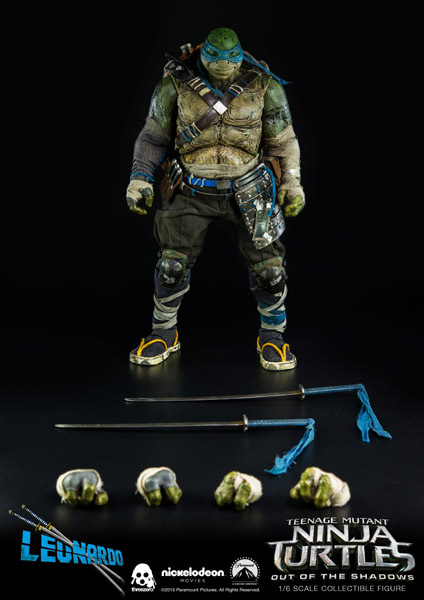 As part of the special Threezero Store exclusive offer: We will have both Raphael and Donatello collectibles purchased together offered for a special combined price of 380USD/2950HKD with International shipping included in the price. 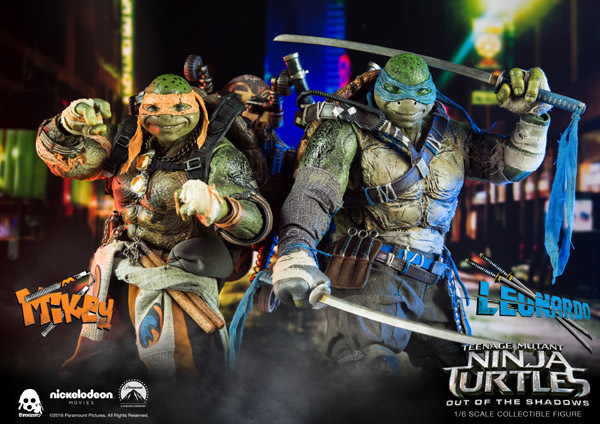 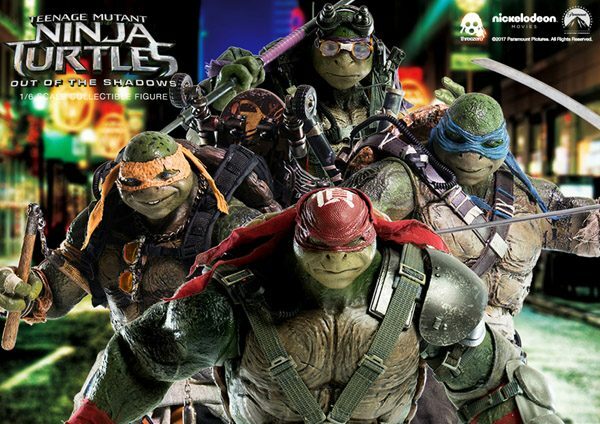 Along with our Raphael and Donatello collectibles sales, who missed Leonardo and Michelangelo pre-order and we will offer ALL FOUR Teenage Mutant Ninja Turtles: Out of the Shadows Leonardo, Michelangelo, Raphael and Donatello for 760USD/5900HKD with International shipping included in the price. 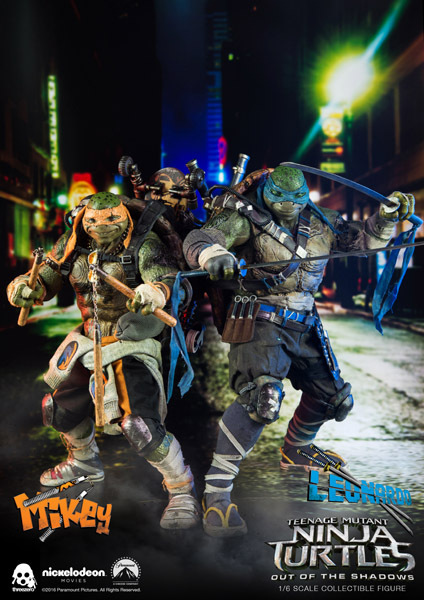 Raphael and Donatello collectible figures come in 1/6th scale and are designed after the characters on-screen appearance, both collectibles feature bodies with over 25 points of articulations, and movie-accurate facial expression with detailed wrinkles, skin texture and tattoos. 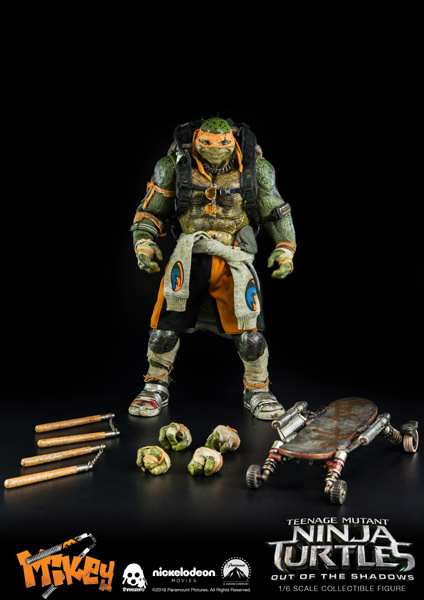 Raphael stands approximately 33,5cm / 13nches tall, comes with exchangeable hands, Shuriken, Army Knife, Arm pads & Knee Pads; Ninja Sai x 2; Kama x 2; Walkie Talkie and Exchangeable hands. 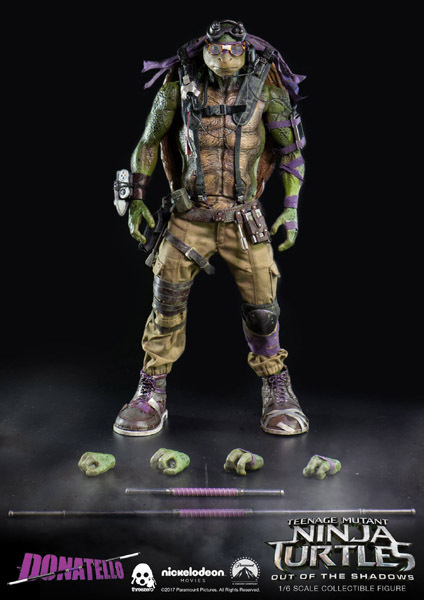 Donatello stands approximately 33.9cm/13.3inches tall and comes with Goggles; Glasses; Backpack; Quadrone; Headset; Walkie Talkie; Headphone; Handheld Game; Game Control Pad; Extendable Fighting Bo-staff and Exchangeable hands. 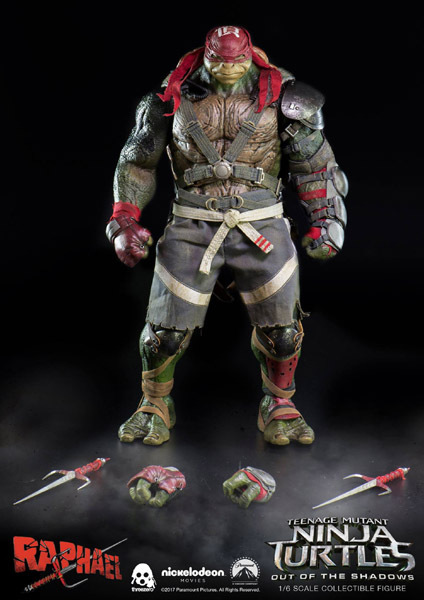 -Realistic paint application to highlight all the details along with battle damaged effect as seen in the film.